Finally .. woohoo.. back from my honeymoon in Hokkaido. It was fun, but I’m glad to be back too. Had a wonderful time with Steph, and together, we took many great keepers. While I’m post processing them, here are 2 beautiful ones first. Minimal post processing were done; just tweaking the contrast slightly. The shot below was taken at Shikisai-no-oka flower gardens. I really like this place. Prefer here than Farm Tomita as although smaller, we get to drive buggies around, and stop whenever and wherever we want to take pictures of beautiful flowers. 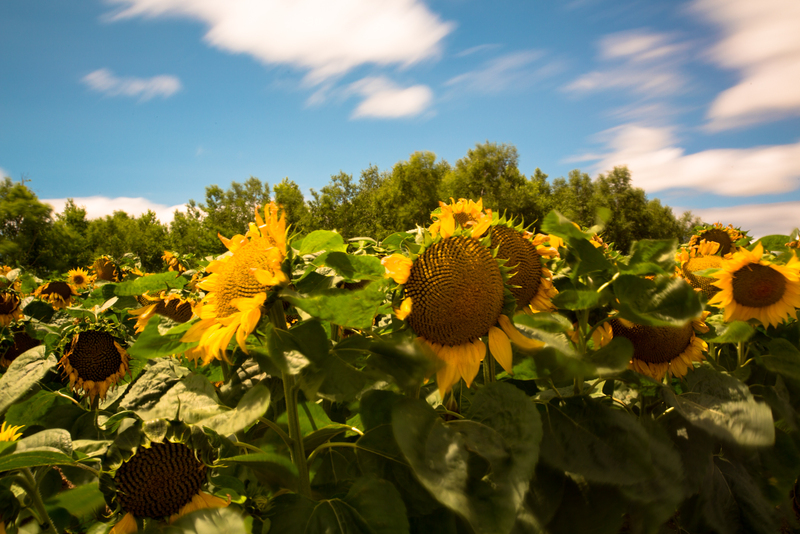 Thought it would be fun to play around with a long exposure to see how the effect of Sunflowers breezing through the sun. Was using the 17-40mm lens @ f22, 30 secs, ISO 100 with the B&W ND110 10 Stopper filter screwed on. As we were moving from Furano to Abishiri, we stopped by Ginga Ryusei Falls. In all honesty, I wasn’t too keen on the 2 waterfalls as there were little to aim at, and they didn’t look that nice too. What interested me was the stream below them. I went down to take a better look, and this was what I got. Shot wide open @ 17mm, f11, 25 secs @ ISO 400, with the ND110. Cheated with a higher ISO to ensure my shots are kept @ below 30 secs, so that the entire tour doesn’t wait for me. Hope you like these two. I’ll be adding more soon, so do come back. 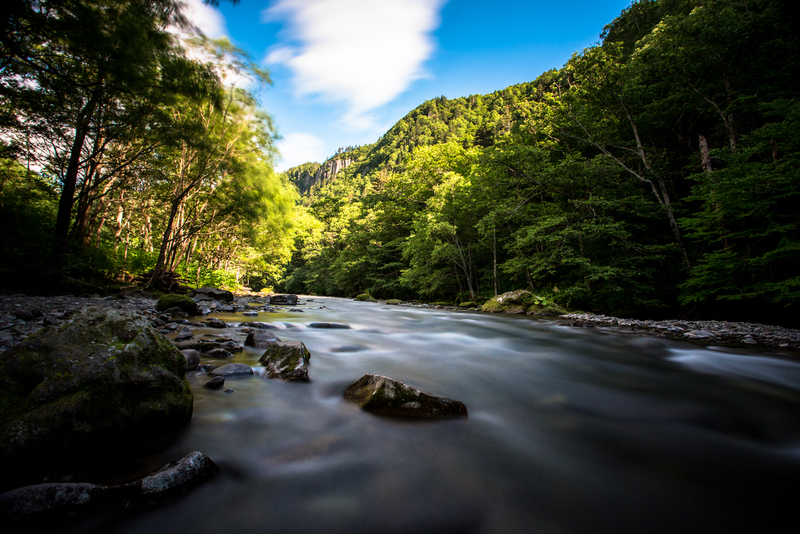 This entry was posted in Japan, Hokkaido, 2012, Landscape Photography, Trips and tagged 2012, Hokkaido, Honeymoon by EJ. Bookmark the permalink. Great shots. Look forward to viewing more of your Hokkaido pics. Hope our path will cross again on another trip. Enjoyed the hilarious time spent with you and Stephanie. Hi Claire. Thanks for dropping by. Still sorting out the pictures. Will send to you guys asap. Should be by Monday.